Save AED 144 (40.11%) – Earn 20 Shukrans What is Shukran? Shukran is the Landmark Group’s award-winning loyalty programme in the Middle East, which allows you to earn Shukrans when you shop any of our brands. Now sleep in peace with worrying about your baby as you get this appealing digital baby monitor. 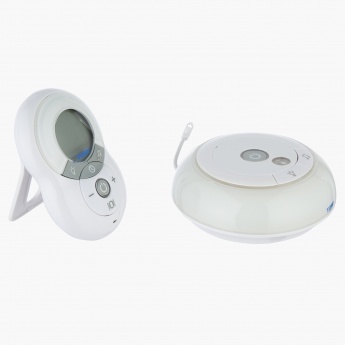 This product features a remote controlled night light with adjustable brightness controls, so you wonâ€™t disturb your baby using the main light when you want to check on them.